Project Proposal: SCWRP’s vision is “to acquire, restore and expand coastal wetlands and watersheds throughout Southern California.” Using a non-regulatory approach and an ecosystem-based perspective, the WRP works together to identify wetland acquisition and restoration priorities, prepare plans, pool funds, implement plans, and oversee project maintenance and monitoring. SCWRP was formed in 1997 and one of the first steps was the formation of a Public Advisory Committee (PAC). Members were recruited for the PAC to include representatives from each of the five counties and from various stakeholder groups such as environmental organizations, businesses, educators, and elected officials. Jean Watt (FHBP President Emeritus), joined the PAC as a representative of FHBP and then became Chairman of the PAC’s Orange County Task Force. In 1997, then Governor Pete Wilson instituted the SCWRP with the lead agency to be the California Coastal Conservancy. Sixteen other agencies were enlisted to make up the Governing Board. A Science Advisory panel and a Manager’s panel were formed as well as the PAC. More recently the organizational structure includes a Wetlands Advisory Group. A Work Plan was developed with Tiers 1 and 2 as well as Incubator Projects. Two grant programs are available, one for large grants and the other for small grants up to $30,000. The small grant program is funded primarily by the Earth Island Institute, www.earthisland.org, and provides approximately $200,000 each year for grants up to $30,000 throughout the 5-county region. Applications for large grants can be made every other year and, if approved, are placed on the SCWRP Work Plan as Tier 1, 2, or Incubator projects. Projects in Orange County include habitat restoration at Aliso Creek, Big Canyon Creek, Upper Newport Bay, Bolsa Chica, East Garden Grove Winstersburg Channel, Gospel Swamp and Orange County Heritage Museum in Santa Ana, Huntington Beach Wetlands including acquisitions, Audubon’s Starr Ranch, Orange Coast River Park, San Joaquin Marsh in Irvine, San Juan and Trabuco Creeks Steelhead Restoration, Santiago Creek Nature Reserve, Upper Sulphur Creek, Serrano Creek, and Cerritos Wetlands. 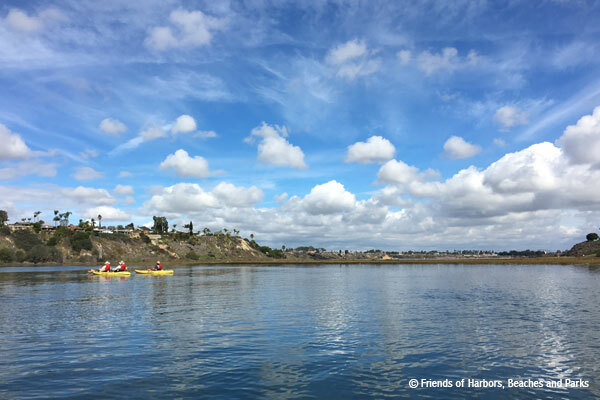 In 2015, a Santa Ana River Coastal Conservancy, SARCC, was formed and, again, the lead agency is the California Coastal Conservancy. FHBP will work closely with the SARCC as it develops its own work plan and project priorities.